travel in the car with your best pal. to the driver, but they haven't been reliably shown to protect dogs in the event of a crash. seat belt and securing it around over the front of the carrier. an accident and possibly injuring your pet. forced into their lungs. Never transport a pet in the back of an open pickup truck. car without a collar, ID tag, and leash. 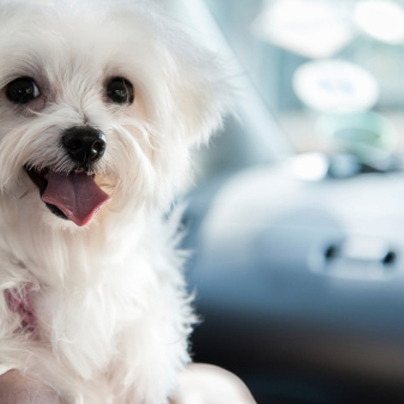 an animal left alone in a car is an invitation to pet thieves.